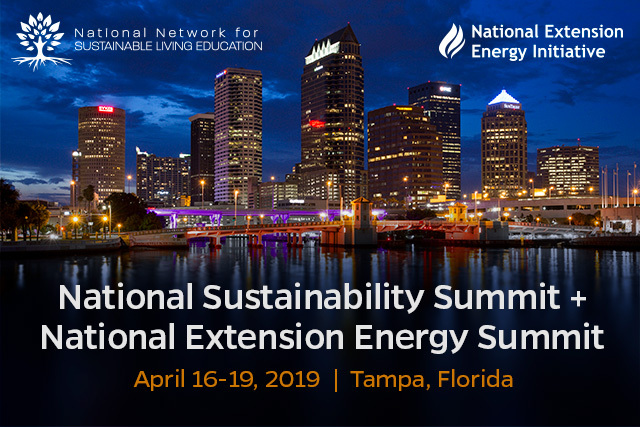 TAMPA, Fla. — The 2019 National Sustainability Summit and National Extension Energy Summit (NSS+NEES) April 16-19 at the Westshore Grand in Tampa is a forum for connection and exchange at the nexus of science and stewardship. Florida Green Building Coalition (FGBC) Executive Director C.J. Davila will be presenting on Going Green in Florida at the summit. Davila will outline FGBC’s educational initiatives and the major green certification programs available in Florida. “As a non-profit our mission is to lead and promote sustainability with environmental, economic, and social benefits through regional education and outreach along with certification programs. The summit will be another opportunity to introduce green building,” noted Davila. With over 19,100 certifications since being founded in 2000, FGBC is by far the largest certifier of green residential and commercial construction, residential communities and local governments in the state. Unlike other national and international certifications, FGBC five certifications are only standards developed with Florida-specific criteria. They address the state’s hot-humid climate, environment, unique topography, geology and natural disasters. Over 200 extension agents, educators, researchers, students, community partners, and sustainability and energy leaders including FGBC from across the nation are expected to attend the summit. They will learn about the latest research, exchange innovative programming strategies, update or reinvigorate your educational toolbox, and cultivate new communities of practice around energy, water, food systems, land, climate and resilience. NSS+NEES 2019 is being hosted by the University of Florida’s Institute of Food and Agricultural Sciences (UF/IFAS). For more information including registration and schedule visit https://www.nationalextensionsummits.com. The Florida Green Building Coalition (FGBC) is the leading certifier of green projects in Florida. To date it has over 19,100 residential and commercial construction projects, land developments, local governments participating in its certification programs. FGBC certification programs are the only standards developed with Florida-specific criteria. The Florida Green Building Coalition is a nonprofit 501(C)3 Florida corporation founded in 2000 dedicated to improving the built environment. Going Green? In Florida you have a choice. For more information contact FGBC at info@floridagreenbuilding.org, visit www.floridagreenbuilding.org call (407) 777-4919.